We’d love your help. Let us know what’s wrong with this preview of Reflection of the Son by Todd Coburn. To ask other readers questions about Reflection of the Son, please sign up. Reflection of the Son by Todd Coburn is a book that will really make you think. I found the analogies stunning and have never thought about it the way Mr. Coburn has presented it. It's a short and simple read at 84 pages and the way it's written, anyone can understand it. There are multiple Scriptures throughout the book that are explained. I think this book would be great in a Bible study class as well. Even without questions, it really gets you brainstorming and would be a perfect book for a group discussion. Chapter 6 "Perfect Positioning" was my favorite. Whether you're already a Christian, want to become one, or just want to learn more about Jesus, this book is for you and I can certainly see it benefiting those lost in between. Reflection of the Son is a very positive message that couldn't have come at a better time in my life. I'd like to thank the author for sharing this with me. Want to know more about Christianity and some foundational prinicples? This book is great for explaining those. For those already a Christian, it is good to remind us that we should be allowing the Lord to shine through us. It has multiple scripture references so that the reader can go see for him/herself what does the Bible actually say, and would be useful in trans-version study of many different translations, and word studies as well. It would also be a useful book for Bible studies too. I th Want to know more about Christianity and some foundational prinicples? This book is great for explaining those. For those already a Christian, it is good to remind us that we should be allowing the Lord to shine through us. It has multiple scripture references so that the reader can go see for him/herself what does the Bible actually say, and would be useful in trans-version study of many different translations, and word studies as well. It would also be a useful book for Bible studies too. I think we all encounter times, when we feel that we are not making an impact or a difference, and can get caught up in the notion of "If I just try a little harder, work a little more, etc", when this book is a great reminder of that it is not in our strength anything is accomplished, but His, and good for helping to get back on track by looking to the Lord, and not ourselves. I would encourage all Christians to read this book, and non-Christians looking to know more about the Faith. As a Christian man I was astonished by the charm of this book. Even as the dark moon reflects the light of the sun into the earths night sky’s so Christians should reflect the light of Christ to those who live in darkness. The analogies and scriptures are meaningful and ring true throughout this book. It is a short and simple message yet powerful. Not like church and not a sermon but a lesson. 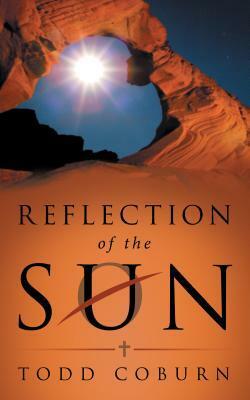 Todd Coburn has managed to teach valuable truths in his book Reflection of the Sun. I am happy to give this book 5 stars as I am already sharing his inspirational message. This is a great little book for anyone walking with Jesus. The analogy of the sun and moon is a way to see how we are the light of the world. Jesus is so very real and alive He can reflect who He is by His vessels, us. If you don't walk with Jesus is because you don't really know Him. This book will reveal Him to you in a unique way. Be blessed today in His joy. Thanks to Mr. Coburn for generously sending me his book. I received a free copy of this book via goodreads giveaways in exchange for an honest review. Disappointed. This is not something that hives personally with my beliefs. Unfortunately, I didn't enjoy this one. An insightful looking at the heavens and God in our life. Jesus is the guiding light, outshining the sun, and always a beacon for us, the believers. He is the light of the world. I won a signed copy of this book during a Goodreads giveaway. Reflection of the Son is presented succinctly and simply, and I mean that with the highest compliment. And how fitting, because God’s plan for salvation is astoundingly simple for us to follow. We make it difficult by struggling to let go of what holds us back from eternal peace. In our desperate striving for what we think is good, we search ourselves and others for a source of light and heat to give us comfort and secure happiness. We come up empty, I received this book for free from the author. In our desperate striving for what we think is good, we search ourselves and others for a source of light and heat to give us comfort and secure happiness. We come up empty, finding darkness instead while often leading others astray. In his book, Reflection of the Son, Todd Coburn outlines how we can seek this light and peace. The author takes the reader step by step, making sure you have solid footing before you intentionally and momentarily suspend balance in order to advance a step further. He invites us to pause and observe the world around us. It’s interesting how we take for granted that the moon reflects the sun’s light. Ponder the deeper meaning and appreciate the great design. Coburn describes how a disciple may set his lamp on a table for all to see, not by shining his own light, but by reflecting the one true source of light – Jesus, Son of God. The author uses scripture as the basis for his testimony, taking care to smooth and set the mortar of the foundation before placing another brick in this enlightening way of thinking. If you are a believer you will easily follow the logic, and it may transform how you look at the world and your place in it. In the Christian journey, this book should be your compass. As I read the book, it was refreshing for me to see that the author understands real life, knowing that while we strive to be the best, we daily fall short, and our journey to salvation is in fits and starts, but should not be consciously backward. What do you get when you combine the mind of an engineer with a man who is devoted to the Lord Jesus Christ? This rare combination is most evident in Todd Coburn’s recent book, Reflections of the Son. Here the author puts his knowledge of the scientific world to good use as he presents a basic fact of nature, namely, the way the moon reflects the light of the sun to a darkened world. Using this scientific model as a backdrop, Coburn sets forth several principles whereby Christ followers can also reflect the love of Jesus to a sin-stained world. So Coburn not only sets forth an encouraging case to bear witness for Jesus, he warns readers that failing to do so will marginalize what God intends to glorify. This is a Goodreads win review. This book is a wonderful book for anyone who wants a great walk with Christ. It gives insights into the way a Christian is to reflect Jesus in a fallen world. The book has very good spiritual truths. It's a sad fact that in this modern world of skyscrapers, electrical grids, and materialistic scientism, the mystery and magic of the moon merits very little thought, especially for city dwellers, except in terms of astronauts, sci-fi and paranormal romance stories. After all, modern man, for the most part, no longer relies on the moon to illuminate his nights. I came to this book already feeling this way about the moon and the Son, but it was very nice to read the author's joyful analysis (rich It's a sad fact that in this modern world of skyscrapers, electrical grids, and materialistic scientism, the mystery and magic of the moon merits very little thought, especially for city dwellers, except in terms of astronauts, sci-fi and paranormal romance stories. After all, modern man, for the most part, no longer relies on the moon to illuminate his nights. I found this to be a very nice devotional read at night before going to bed. Reflection of the Son covers the basics of Christianity and God's plan for salvation in a simple way for us to follow. It is an excellent refresher for a Christian. It is great for someone young who is trying to figure out how to have Jesus shine in their daily life. This is a book I will share with my grandchildren when they are old enough to understand. I thoroughly enjoyed this book. It speaks of a subject I often like to use as I lead my women's Bible Study - how our lives are to be a refection of our Savior similar to how the moon reflects the light from the sun. In fact, I like the book so much I gave a copy to every lady in our Bible Study. I highly recommend this book to others. A magnificent work! Worth reading over and over! Thank you Todd for sharing this with all who read it. Review of Reflection of the Son by Todd Coburn, WestBow Press, 2016. A Goodreads review group assigned me this book to review. In his short devotional book, Coburn examines “the way the moon reflects the sun’s light to a darkened world” to draw insights for how we should live as Christians. Specifically, how we, as Christians, are to “reflect Jesus Christ to a fallen world.” The basic image upon which he builds: “the moon provides light to the darkened side of earth, not through light of its own Review of Reflection of the Son by Todd Coburn, WestBow Press, 2016. 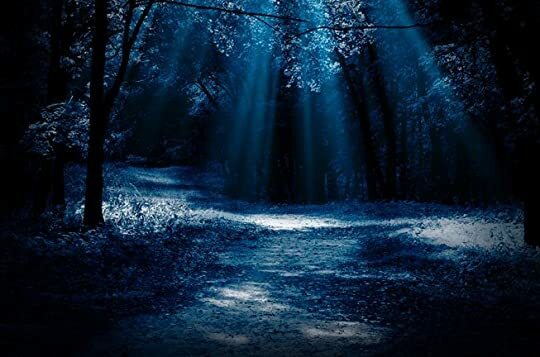 In each of four main chapters, the author outlines the lessons he draws from this phenomena of nature, supporting each of his theses with detailed exposition of Scriptures about light and darkness. His theses: 1) The Son, Jesus Christ, is the source of all spiritual light; 2) The Christian has no light of his own; 3) Only by reflecting the Son’s light can the Christian help illuminate the earth with the knowledge of Jesus Christ: 4) The Christian must position himself so that he faces the Son, so that Jesus Christ can reflect his light off of the Christian’s face and through the Christian’s actions, character, and behavior. Each chapter provides helpful opening and closing summaries of the foregoing content. His final chapter “Final Thoughts” ties the whole book together in one final challenge. I find Coburn’s exposition of Scripture sound and his logic based on Scripture compelling. I miss him illustrating and applying his Scripture passages more, however, to help the reader apply the important lessons he teaches to their personal lives. I find his attempts to represent Hebrew words distracting, in that he fails to explain his use of symbols, and he uses symbols I have never seen before. The Hebrew for “spirit/wind/breath,” for example, is usually transliterated (ruach), whereas he uses (tmvn). He also tends to use + when he means f. or ff. (following verse or verses). This book may be used with profit as a basis for personal devotions to stimulate Christian readers to reflect Jesus more fully to a sinful world. “As our loves conform to Jesus’ image,” the author concludes, “we become like great reflectors, and our lives reflect His image brightly and accurately." Motivational devotional on how to better reflect Christ during our life on earth. A short look at the Sun's relationship with the Moon in comparison to our relationship with Jesus. I very much enjoyed the comparison, and the new approach at looking at my relationship with Jesus. I don't want to say to much as to spoil the reading of the book, but I do recommend you spend the couple of hours it took to read this one! I really liked this little book by Todd Coburn. I enjoyed reading the author's thoughts and explanations and how he linked many characteristics of the moon and its positions in relation to the earth to the Christian faith. He also uses many quotations from Scripture to back up his explanations. The idea that the way the moon reflects the light of the sun is similar to how we as Christians should reflect Christ may seem like a simple one, but I had never thought about it before. It is a very beau I really liked this little book by Todd Coburn. I enjoyed reading the author's thoughts and explanations and how he linked many characteristics of the moon and its positions in relation to the earth to the Christian faith. He also uses many quotations from Scripture to back up his explanations. The idea that the way the moon reflects the light of the sun is similar to how we as Christians should reflect Christ may seem like a simple one, but I had never thought about it before. It is a very beautiful picture and, in my opinion, it makes a lot of sense. It was a little bit repetitive at times, but I didn't mind that. I also think it's very cute that he included a personal poem in the end. This book might serve as an inspiration or encouragement for you or you might simply enjoy reading about this beautiful idea. Maybe it will also help you understand the concept of how Christians are to reflect Jesus a little bit more. I like this short book on reflecting Jesus in our life. It is full of great scriptures on light and numerous analogies showing how we reflect Jesus' light in the world. I especially like the analogy of us to the moon and its various phases. It is an eye-opening look at our christian life as a reflection of Christ. I recommend this book. Thanks to the author for providing the complimentary copy in exchange for an honest review. My experience from reading this book was firstly that I was gripped and fascinated. Secondly, for me, it felt like a spiritual re awakening to things that I thought I already knew, but realized that I didn't know well enough. This book opened my eyes and heart to see more of, in a deeper and clearer way, some of the wonders and truths of the nature of God that are reflected through His creation. It also spoke of the yet un plunged depths and quality of a relationship that could be had with such My experience from reading this book was firstly that I was gripped and fascinated. Secondly, for me, it felt like a spiritual re awakening to things that I thought I already knew, but realized that I didn't know well enough. This book opened my eyes and heart to see more of, in a deeper and clearer way, some of the wonders and truths of the nature of God that are reflected through His creation. It also spoke of the yet un plunged depths and quality of a relationship that could be had with such a loving God. It also, with challenges, spoke of our role as Christians to be reflectors of Jesus in our world today and how we might be good reflectors of Jesus.